There was one post published on November 15, 2017. 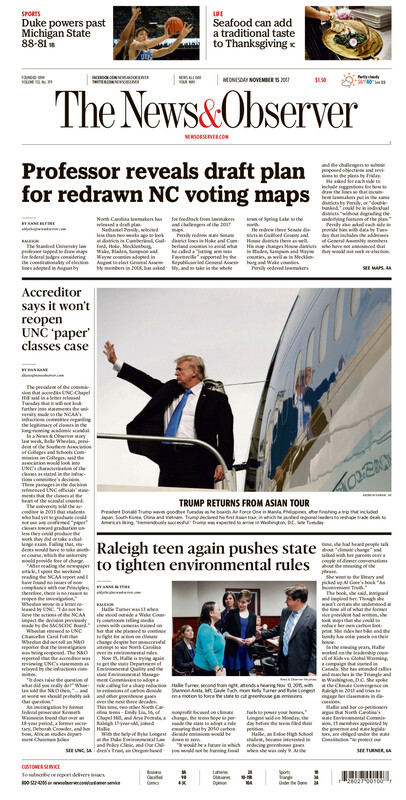 The story of the new environmental lawsuit that Hallie is participating in (along with two other teens) ran on the front page of the News and Observer today. Pretty cool to see that. This is at least the second time she’s been featured on the N&O’s front page, if not the third. The first time was when she was still a guest of the WakeMed NICU.